The perfect mix of traditional and modern. 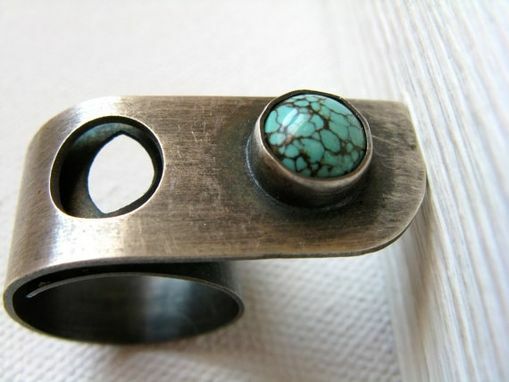 You can't beat a great turquoise ring. I wear turquoise with EVERYTHING! And this beauty is no exception. 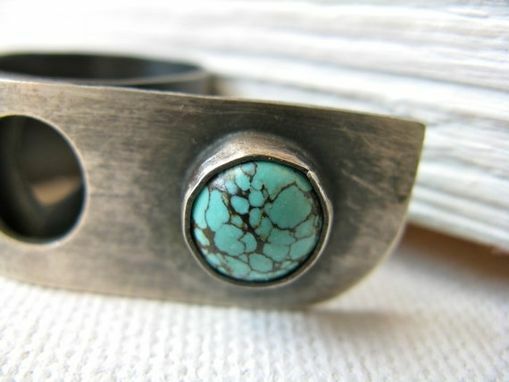 This turquoise ring combines a modern design with a beautiful stone to make for the perfect ring. 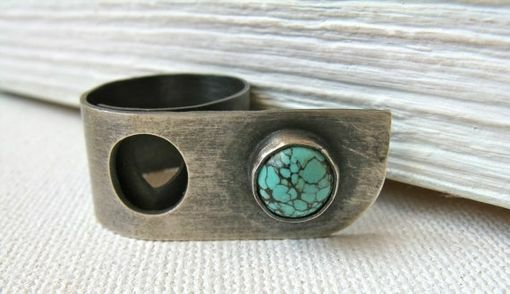 The ring is sterling silver with the turquoise set in a fine silver bezel. 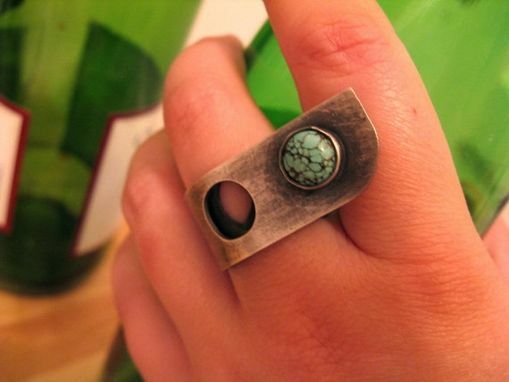 I oxidized the entire piece to give it a rustic look and then sealed it to keep the color true. You'll never want to take this beauty off.